The team secures $3,000 and practice sessions with the Excelsior. Rutgers Esports, the esports team of Rutgers University, reverse swept NJIT Esports of New Jersey Institute of Technology today to win the New York Excelsior’s Spring Rally. NJIT defeated Rutgers in the first two maps of the series. Rutgers managed to regain control of the match, however, winning maps three and four and taking the series to a fifth game—the first five-game series of the entire Spring Rally. Rutgers Esports carried their win streak into Busan, the tiebreaker map of the series. They won both points of the Control map to take home the series in their school’s name. 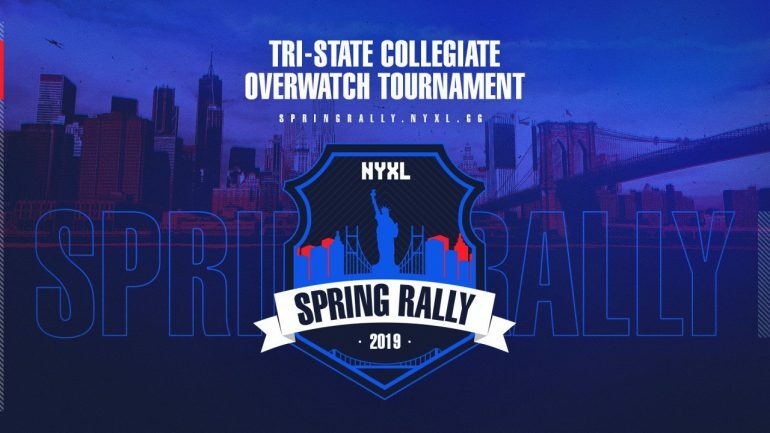 In March, NYXL sent invites to over 40 schools in the tri-state area for the chance to participate in the Spring Rally. Community members then “cheered” for their favorite schools over the following three weeks. The top 16 teams with the most cheers moved to the first two rounds of the bracket ahead of today’s semifinals and finals at the Scarlet Classic V, one of the largest collegiate esports LANs on the East Coast. With their victory over NJIT Esports, Rutgers takes home practice sessions with the professional Overwatch team and $3,000 from the tournament’s total prize pool. The team’s players will also receive the opportunity to qualify for XL2 Academy, the Overwatch Contenders team of NYXL.